The original settlers of New Zealand are Polynesians who came from other islands in the South Pacific. Today these people are known as the Maori and make up 14.6 percent of the population. Editor’s Note: This story touches on the sensitive topic of child sexual abuse. We include it here to illustrate how God can take very difficult circumstances and bring hope, healing, and potential for mission and ministry. 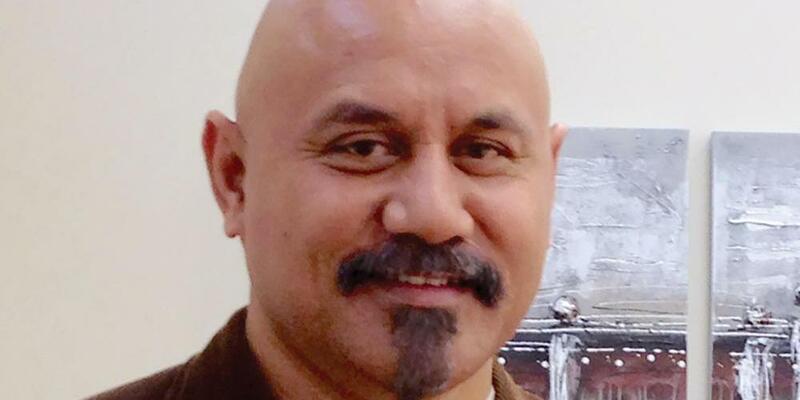 Paul comes from a Samoan family but was born and raised in New Zealand. He was the oldest of seven children. He later learned that his parents had dedicated him to the Lord, hoping that one day he would become a preacher. In spite of his parent’s best intentions, however, Paul’s childhood was riddled with trauma. Beginning at age 6 he was repeatedly sexually molested by an uncle. Filled with rage, Paul became disruptive at school, and life at home became a nightmare as he tried hiding in various places, hoping to escape his uncle. He couldn’t tell anyone about it because the subject was taboo. By the time Paul was 8 he was living on the street. At age 9 he was earning $4 a week delivering milk and newspapers. In order to get a little more money for food, he worked pulling nails out of large wooden boxes used for shipping cars. During the day he went to school, where he was given a hot lunch, and at night he slept in a car box. From time to time he went to the public pool where he could take a shower for 15 cents. Living in such conditions, he learned how to steal food, clothing, and other items. Before long, Paul got into drugs and alcohol, and at age 13 dropped out of school. Working various jobs, Paul somehow managed to support himself. By the time he was 17 he eloped with Fiona, a girl he had known from church. Sadly, Paul still carried a lot of anger and often took it out on his wife. Sports was a big part of his life and Paul spent a lot of time playing football (soccer), boxing, and martial arts. It was into this milieu that a life-changing invitation came to the young couple. A friend of Fiona invited them to a small group Bible study. Even though they refused several times, the friend didn’t give up. Doors began opening, and Paul was accepted into the theology program at Pacific Adventist University in Papua New Guinea. After completing his studies, he and Fiona returned to New Zealand, where Paul served as a pastor with the North New Zealand Conference for 13 years. Impressed to further his education and with doors miraculously opening, Paul and Fiona and their children moved to the United States, where Paul studied at Fuller Theological Seminary in Pasadena, California. While there, Paul and Fiona also worked hard to minister to second- and third-generation Pacific Islanders who lived there. Traveling all around southern California, the couple visited the islanders, bringing them food and encouraging them. Through this special ministry, many church plants were established. In 2010 the family returned to New Zealand, where Paul now serves as the director for church planting and is ministerial director for the North New Zealand Conference. While his life is much different from when he was young, Paul hasn’t forgotten about his past life and has a special ministry for reaching those who are living the life he once led.